I graduated in Fine Arts specialising in video and graphic design. Since 2009 I have worked for a variety of clients designing web apps, responsive websites, mobile and tablet apps, most of them from concept to implementation. My specialities are UX/UI design and frontend coding with HTML and CSS/SASS and I love working in Agile enviroments. I always strive to deliver the best quality and high standard on all my work. - 2009-now // UI/UX Freelancer and Contractor - Working for different clients building websites, mobile apps and Web apps. 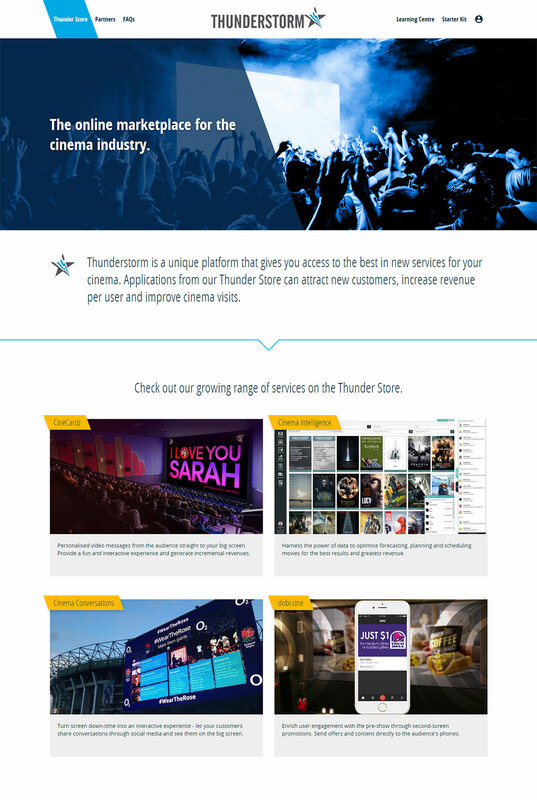 - 2015 // UI/UX/Frontend contractor- AAM - UX, creating user flows, usability tests, designing the user interface, creating style guides and coding the UI cinema marketplace project as a part of a cross-functional team at project Thunderstorm. I have worked in a wide range of projects since I started more than 6 years ago. 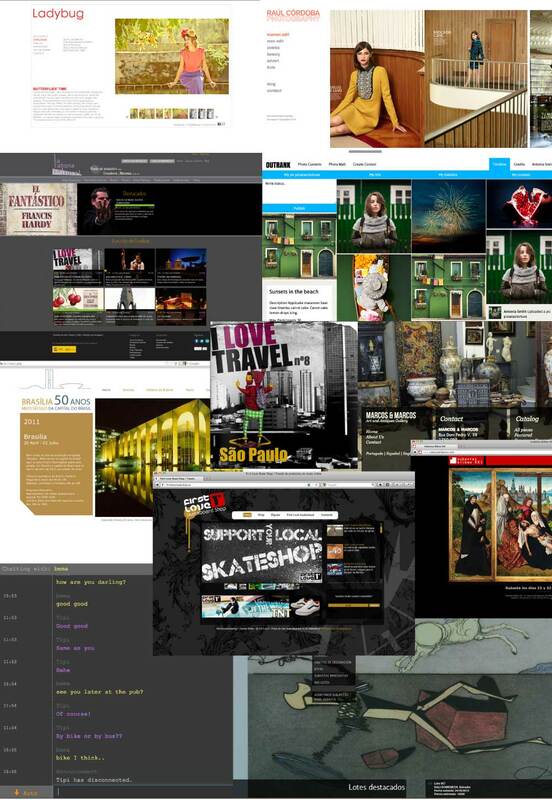 Kind of projects: crowdfunding platforms, travel magazines, art auctions online, antique shops, webchats, artist portfolios, wordpress websites, ecommerce sites, mobile apps, web apps..
Evolution: Since I started the web has changed a lot. I started doing graphic design jobs, designing webs in Flash, XHTML, CSS, banners, and even learning PHP, but as the time went by I specialised in designing interfaces, user experience design and front end technologies. 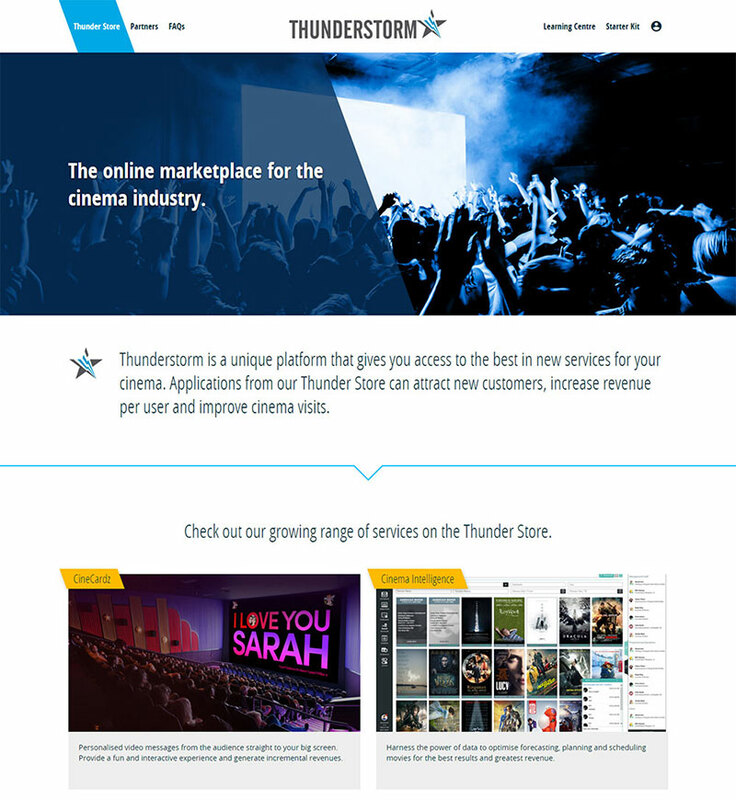 Thunderstorm is an online marketplace for the cinema industry. Target audience: +45 cinema managers. Not tech savvy. No risk takers. Design: The UX had to be very intuitive and, as the product was so new in the industry the user needed to understand very well everything. Award: Most innovative product in Cinemacon 2016, Las Vegas. 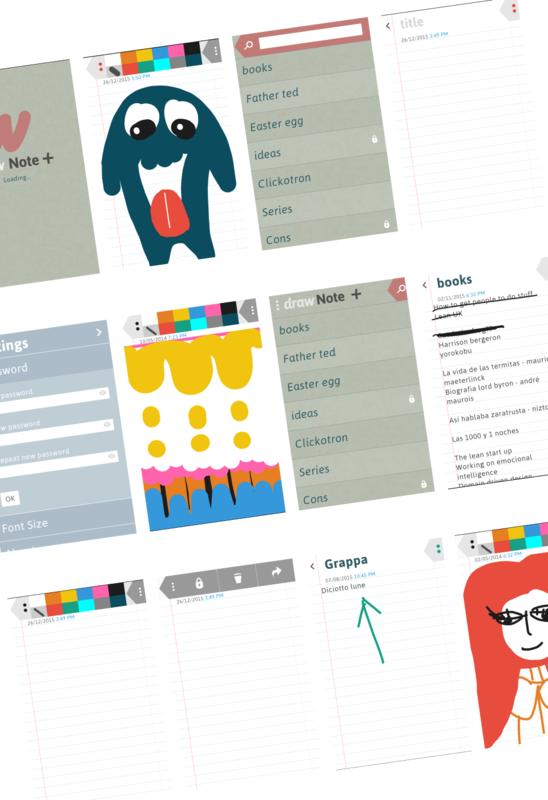 App designed to make notes and draw. 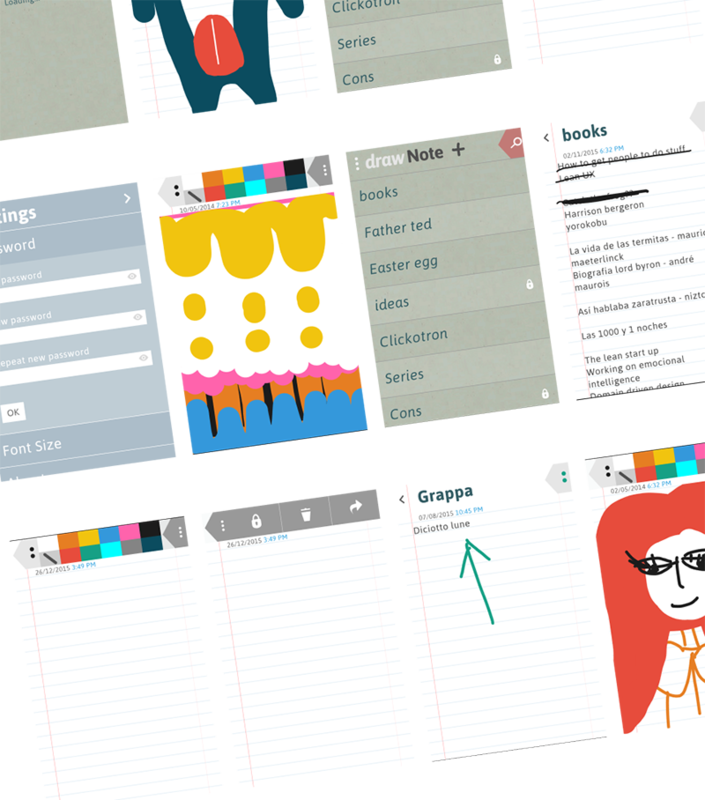 User can set a password, lock notes, delete or share them. Target audience: 20-30 years old, organised, interest in hand writing and drawing in their notepads. Design: Easy to use, I wanted to give it the feeling of a note pad and to have everything we wanted without a cumbersome UI, It was challenging for example how to access the palette and the settings from the note. Target audience: Prospective clients, IT Managers, CTOs. 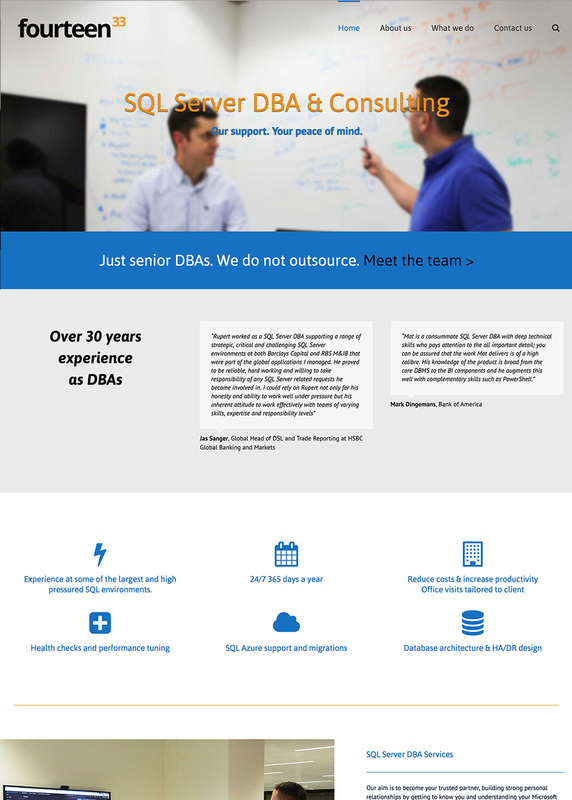 They would be looking for professionals DB Admins to hire. 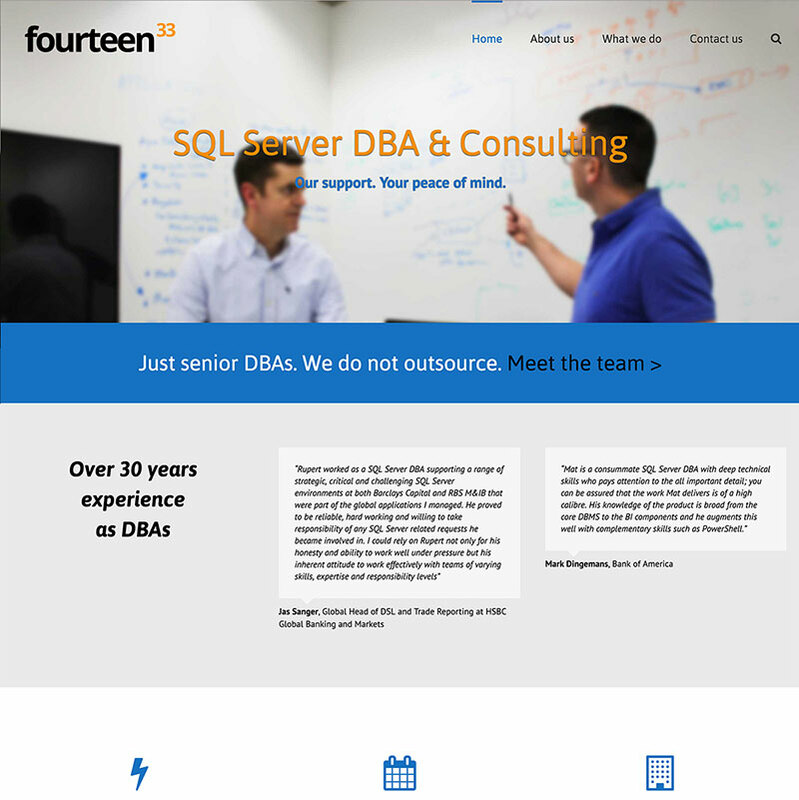 Design: What a client was going to get when hiring Fourteen33 is Rupert and Mat, two senior DB administrators, so was very important organising and prioritising content to communicate this clearly and we decided to make it more personal showing pictures of them. 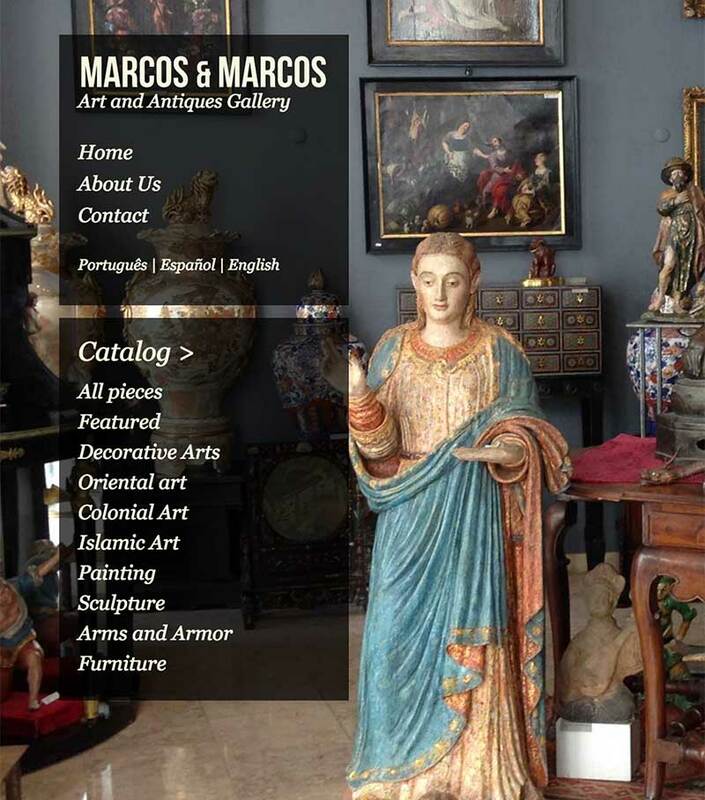 Shop's website with an online catalog. There is also a CMS where administrators can create categories, pieces, upload pictures etc. 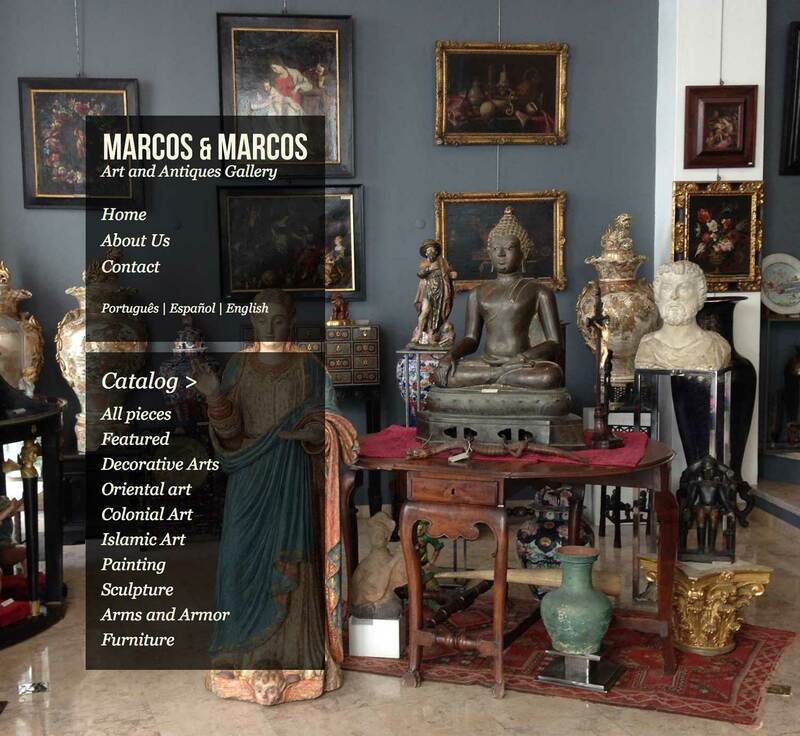 Target audience: +50 years old, art collectors or dealers, usually browse several pages a day. Simplicity and very clear design is very important. Design: Easy to use, need to highlight the quality of the pieces displayed, also need to generate trust showing that the gallery actually exist and the pieces are genuine. 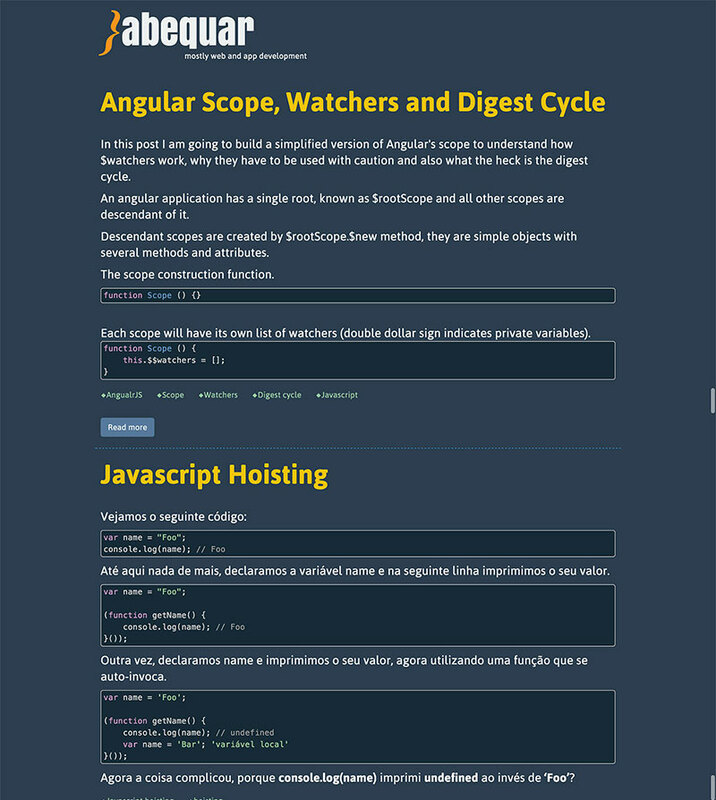 Target audience: Developers who want to learn more about a particular topic. 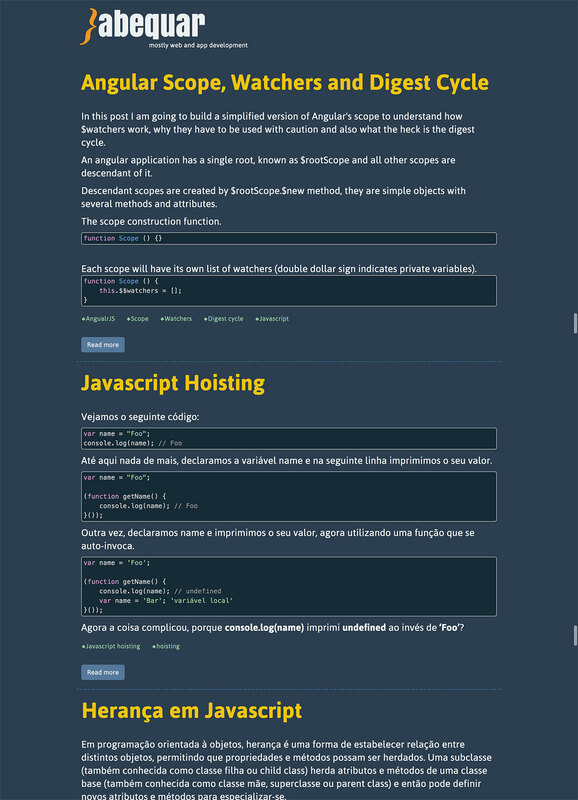 Design: It had to be very readable, so I tried to have less than 90 characters per line, with a dark background so the sight doesn't get tired. We wanted it very clean so I just added a tag line to define what the blog was about and the posts straight away.